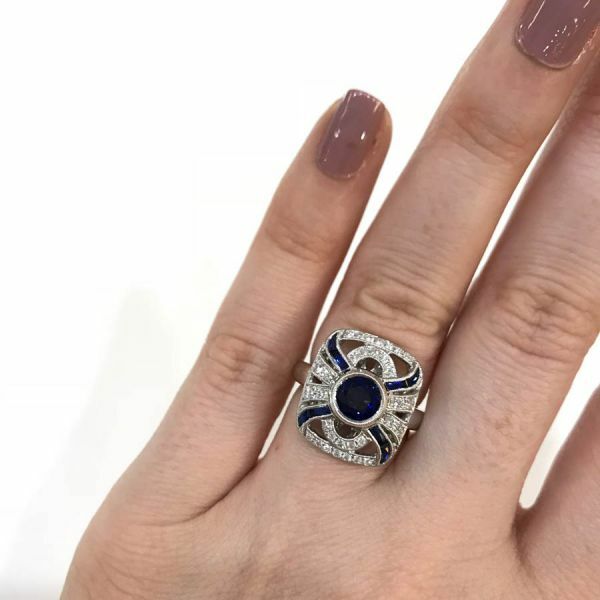 A stunning Art Deco inspired 18kt white gold mill grain ring with 1 round mixed cut medium dark blue sapphire, est. 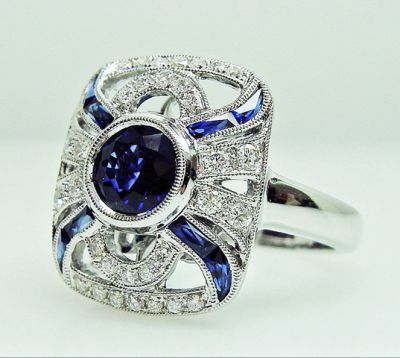 0.88ct; 8 rectangular mixed cut dark blue sapphires, est. 0.42ct and 32 round brilliant cut diamonds, est. 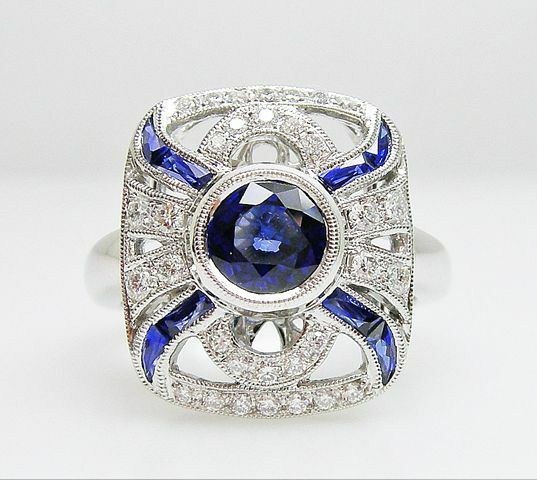 0.30ct (colour:G-H & VS-SI clarity).